We took our Avion camper to the beach this past February. I had a golf tournament to play. We were able to set up just 20-yards from the beach. We enjoyed sunrise walks, sunset walks and great golf. It was just Amy, myself and our dog, Loki, who at the time was a five-month old German Shepherd. That was so nice we want to go back for the month of February next year. Before we bought a Stable-Lift system, we loaded and unloaded our 1969 Avion camper with manually cranked tripod jacks. 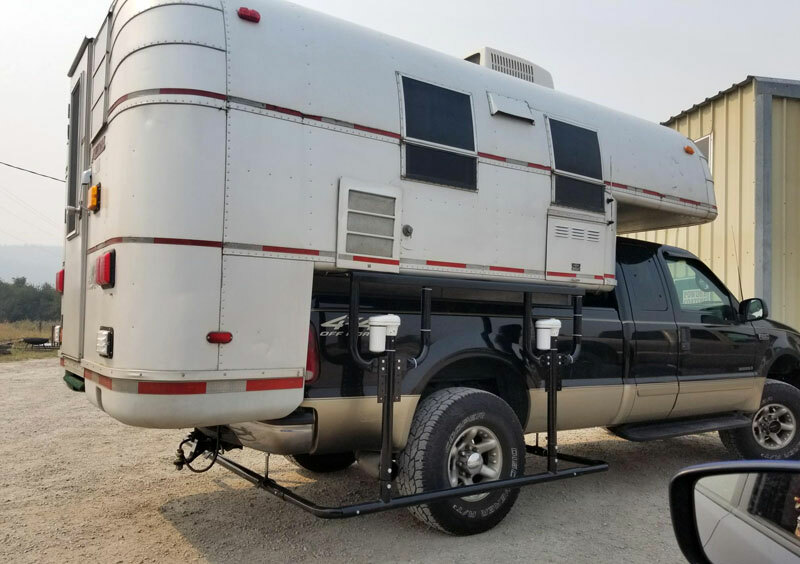 With each crank, the camper would sway. Every time we raised or lowered our camper we held our breath. 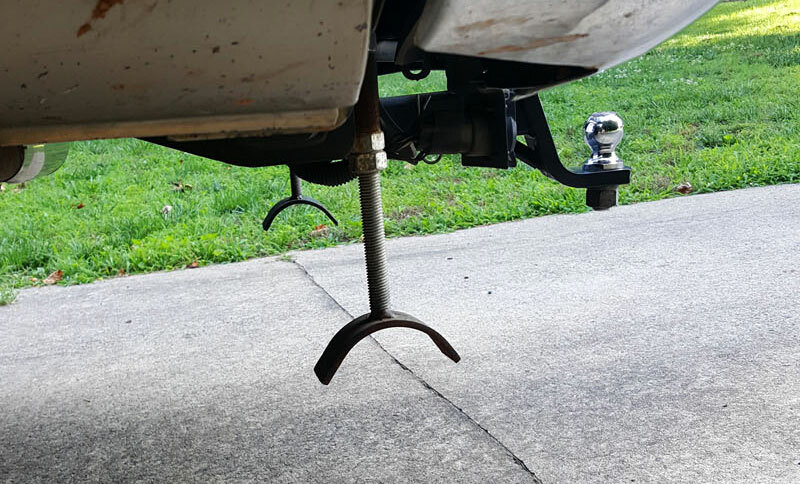 When backing under or moving the truck forward, we would run over the tripod feet of the jacks adding to our apprehension. There had to be a better way. We wanted something that would last, be easy to use, and provide confidence while driving down the road. After some research, I called Mont Peters, President of Stable-Lift. As it turned out he knew exactly what kind of camper we had. One of the first campers they installed a Stable-Lift system on was an Avion. They could have shipped the system to me to install, but I preferred to have the system installed at Stable-Lift in Kalispell, Montana. We scheduled an appointment for us to bring our Avion up to Montana for the install. Shane Howe, Stable-Lift’s Manager, Chris Ferrari, and Craig Peters (Mont’s son) did the installation. As the guys prepped for the installation, I was able to speak with Craig about the Stable-Lift system. Craig knew the system inside and out and made Amy and I very comfortable. All three of the guys were great. 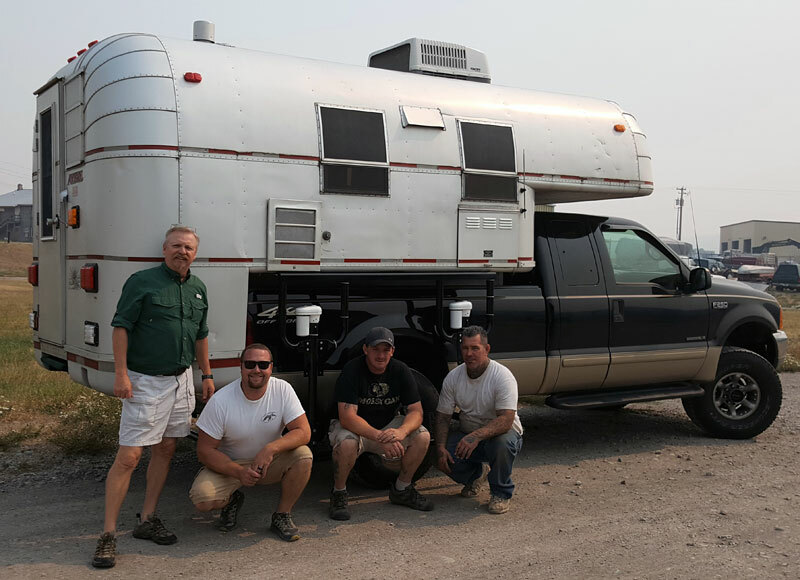 We left the truck and camper in their hands and were driven to pickup a rental car. Upon returning, they had started the installation and let us walk around, ask questions, and take pictures. They were very accommodating. 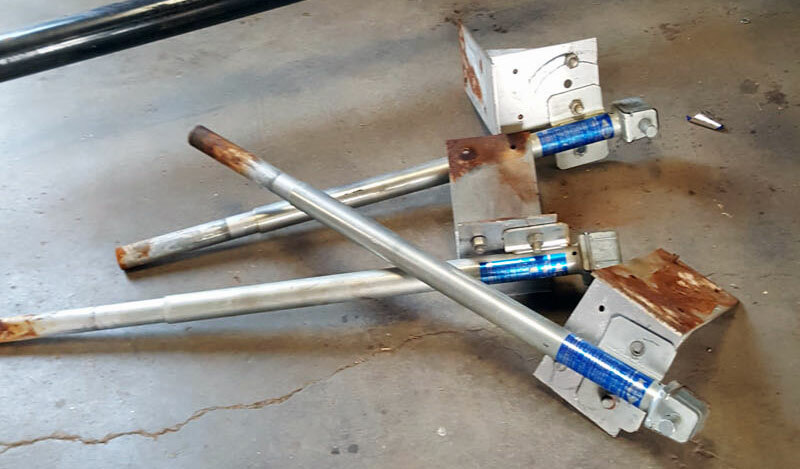 During the installation, Stable-Lift removed our manual tripod jacks. They installed a plate under the camper where the original system was located. The plate runs the entire length of the camper giving it greater stability at all times for loading, unloading and traveling. 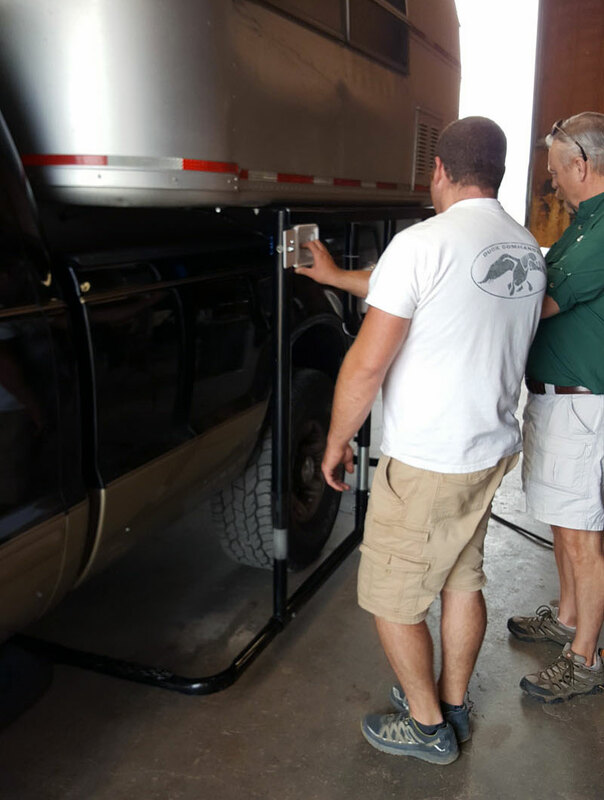 We don’t use turnbuckles anymore as the Stable-Lift system secures the camper to the truck. 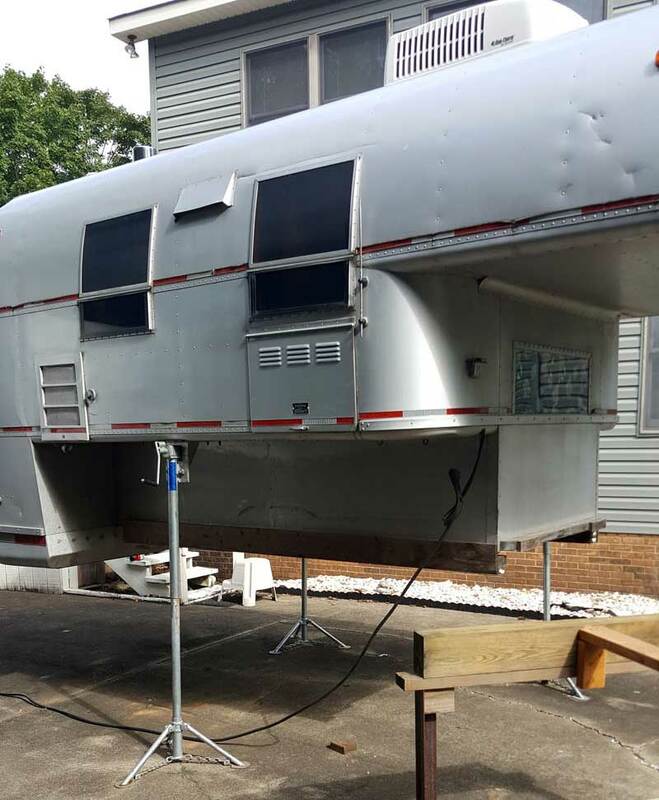 So basically, the Stable Lift holds the camper in place securely once we bring the braces into the saddles. After completing the installation, they showed us everything we needed to know about the system – which wasn’t much. Toggle switch this way, it goes up. Toggle switch that way, it goes down. Toggle switches this way and that way and you can level out your camper. Then, we received instructions on how, when, and where to lubricate the system. That was it. It’s so easy! With our tripod jacks, it used to take us at least 45-minutes to an hour just to load and secure the camper to the truck. It took another 30 to 45-minutes to unload. With the Stable-Lift system installed, it might take 5-minutes to load and secured. What a treat!